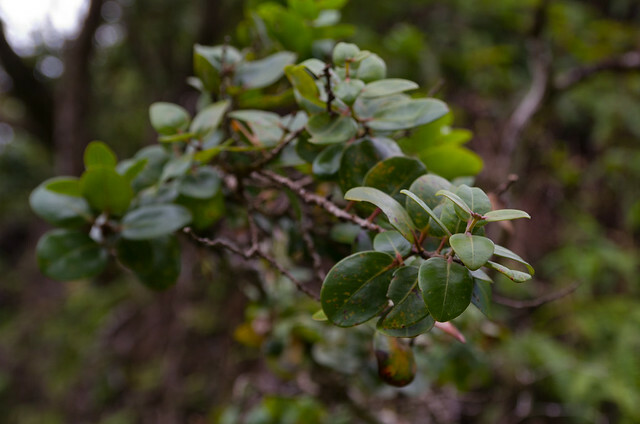 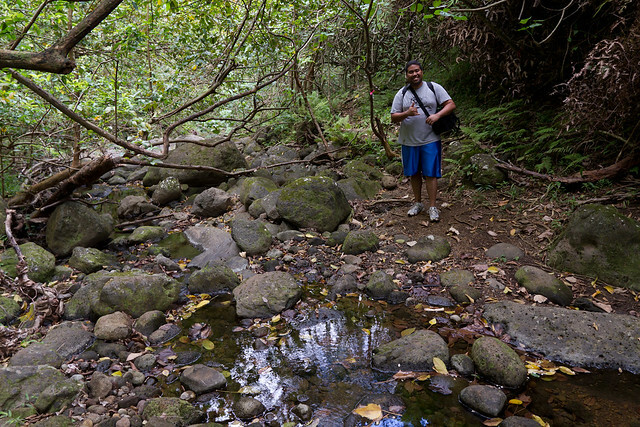 For Good Friday me and Mike Duvernay hiked up Moanalua Valley on the Kulana`ahane Trail. 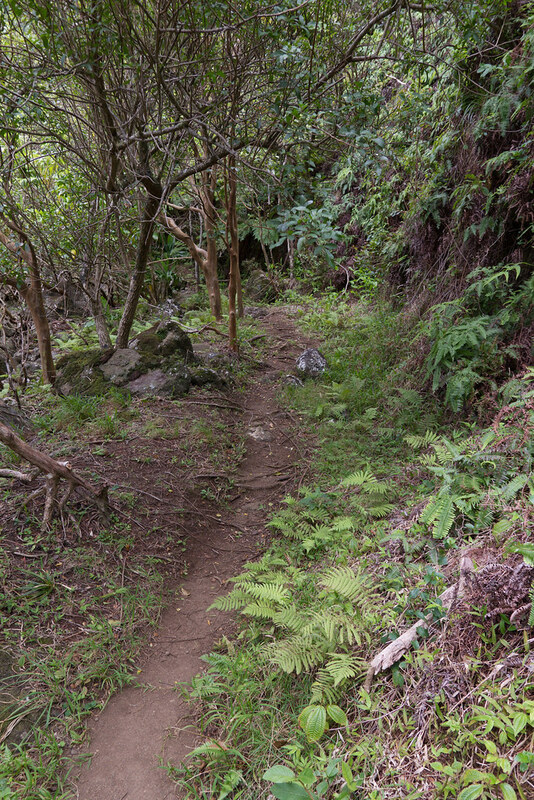 It's a realtively easy trail, a solid mix of dirt road, stream crossings, and a short ridge to gain a nice Ko`olau summit between the Haiku and Moanalua Valleys. 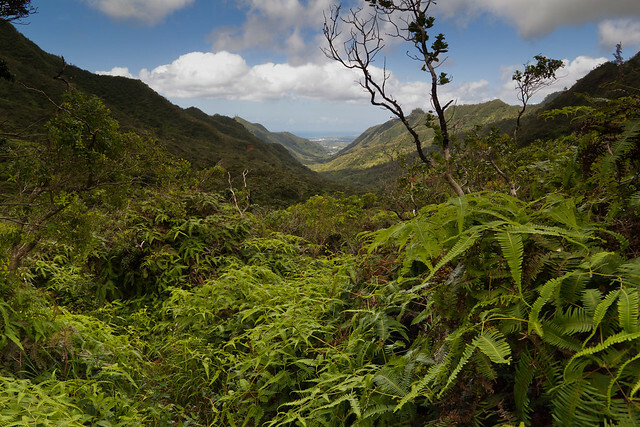 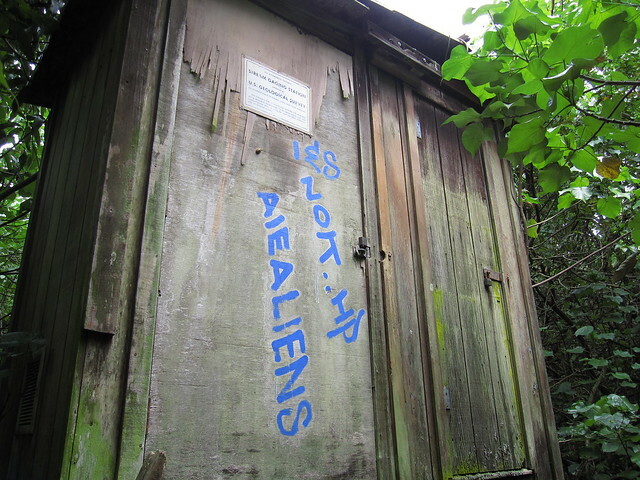 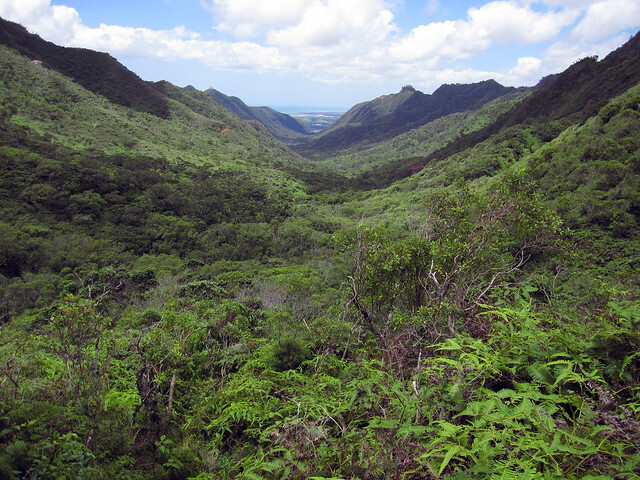 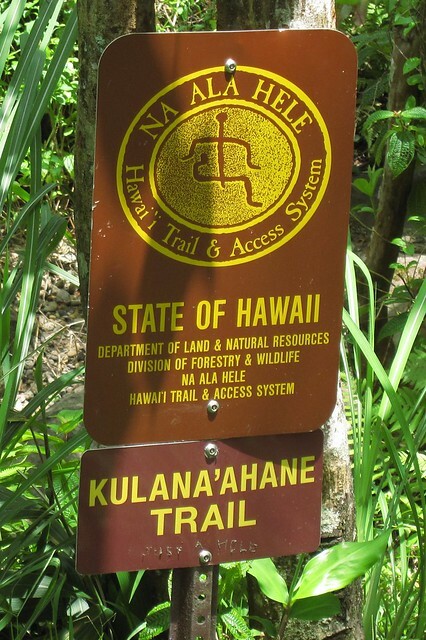 The Trail is 4.5 miles from the park at the back of Moanalua Valley to the the Ko`olau Ridge. 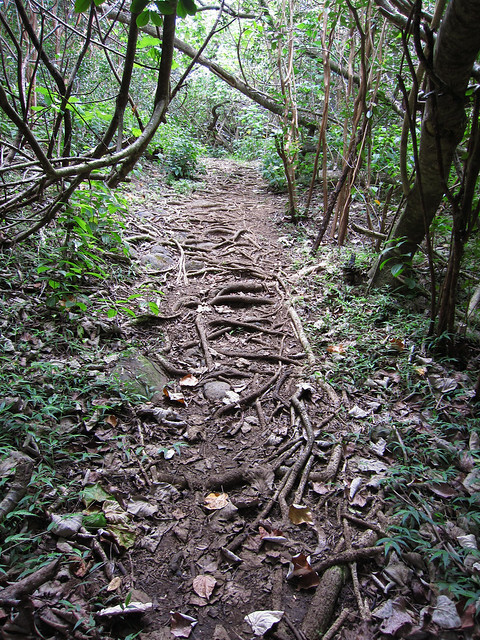 We started at 7:30 am and ended at 3:00 pm. 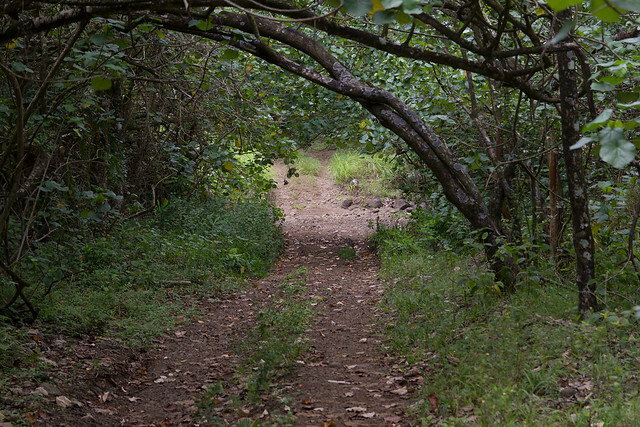 Taking a lot of pictures slowed us down. 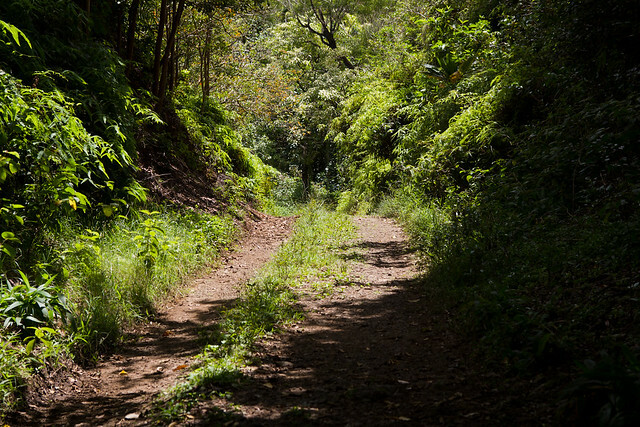 For the first half of the hike you walk along an old dirt road, built by the Damon Estate. 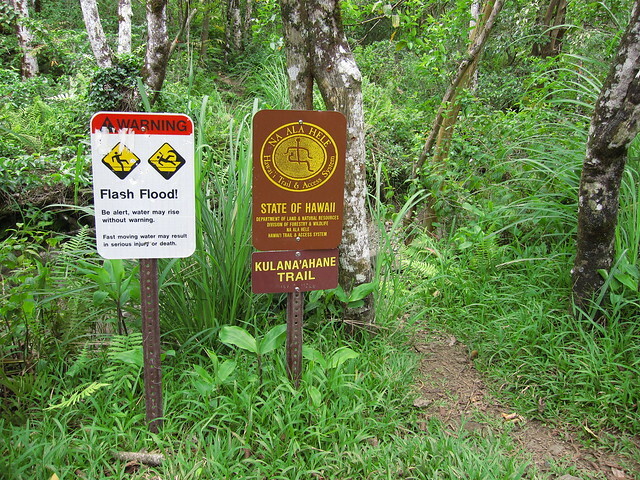 A couple of miles on the road will lead to the start of the Kulana`ahane Trail, as it veers away from the dirt road across a stream bed and up the valley. 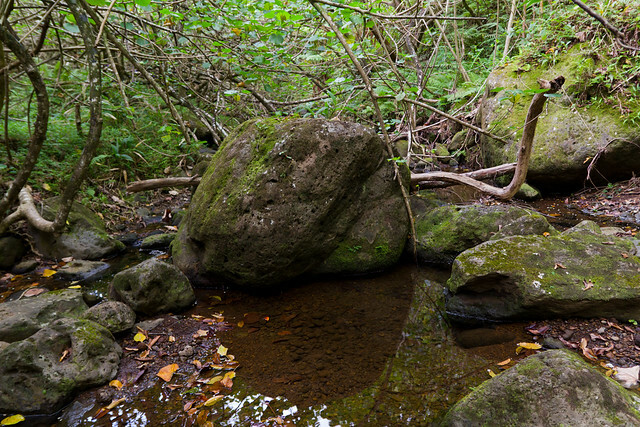 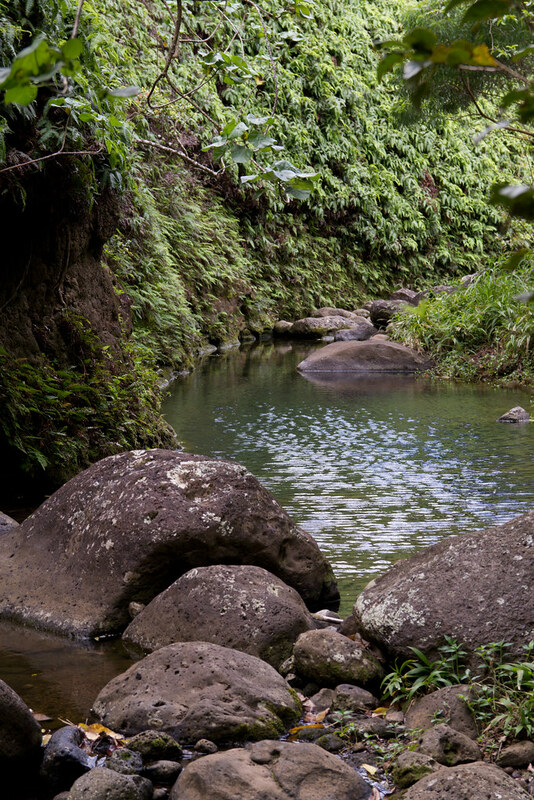 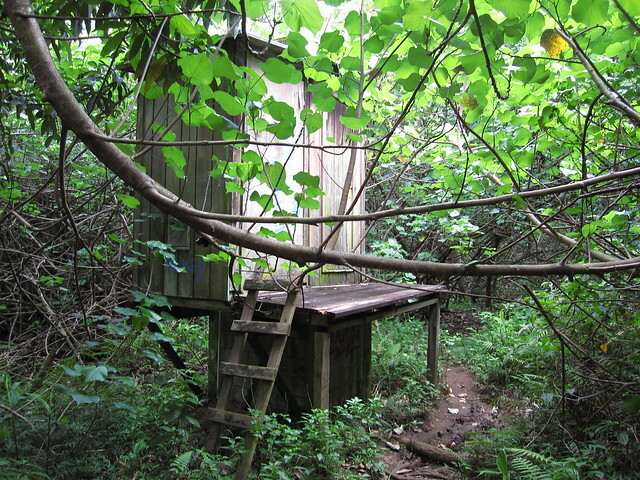 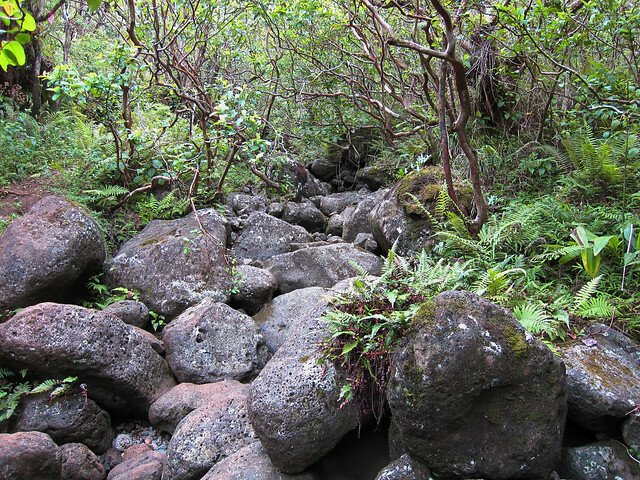 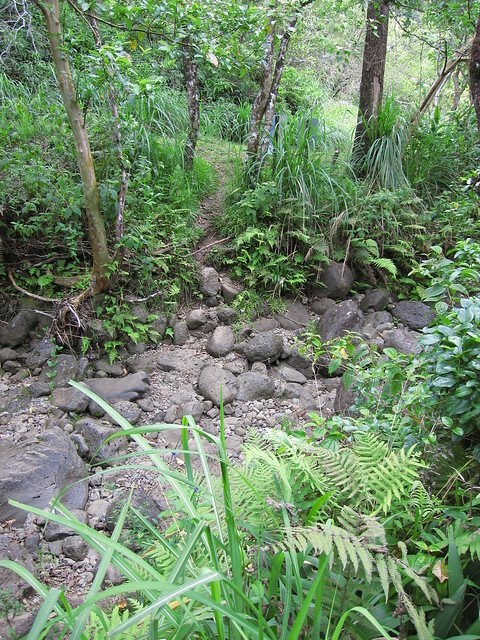 There is a Moanalua Valley Stream monitoring station just a few yards into the trail section. 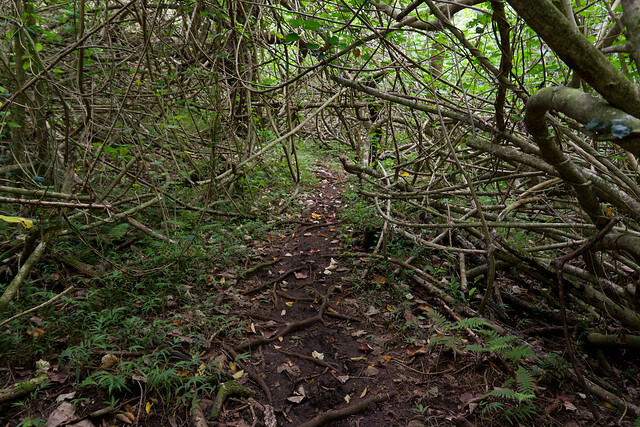 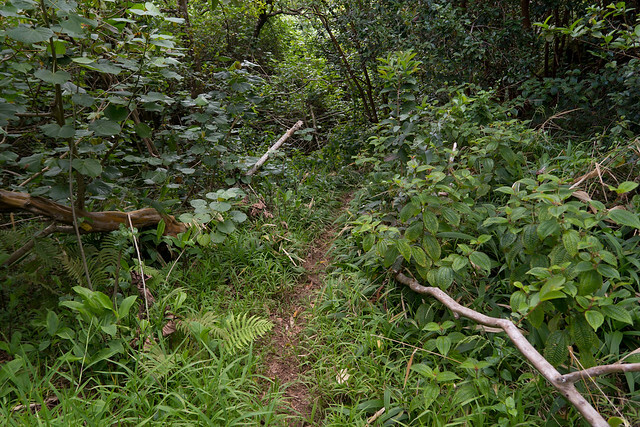 The trail after the dirt road is a mix of stream crossing, leisure grassy trail, and rooted path with plenty of overhanging branches. 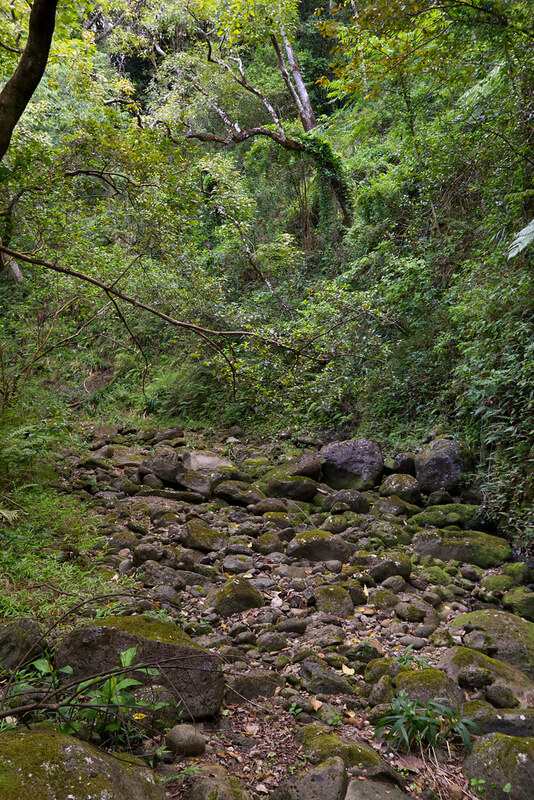 Along the way you pass and crossover some beautiful stream sections. 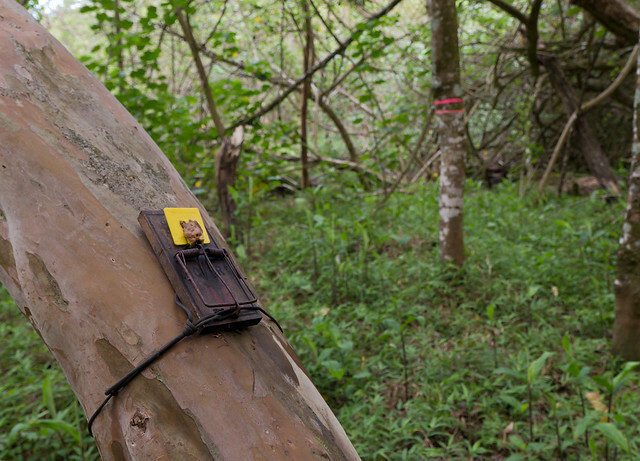 There are some rodent traps along the way, including this rusted out rat trap secured to a tree. 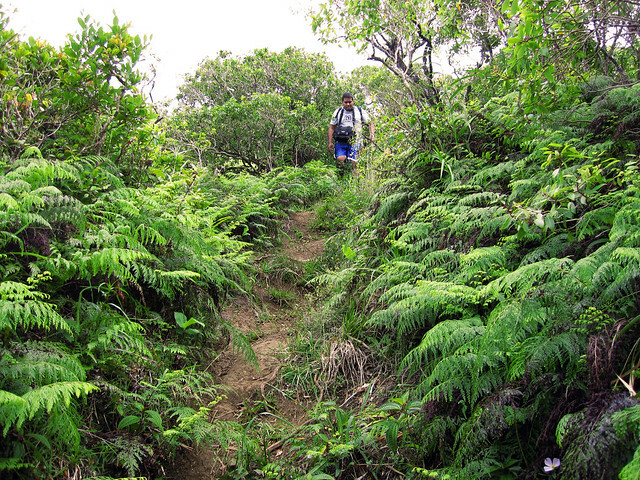 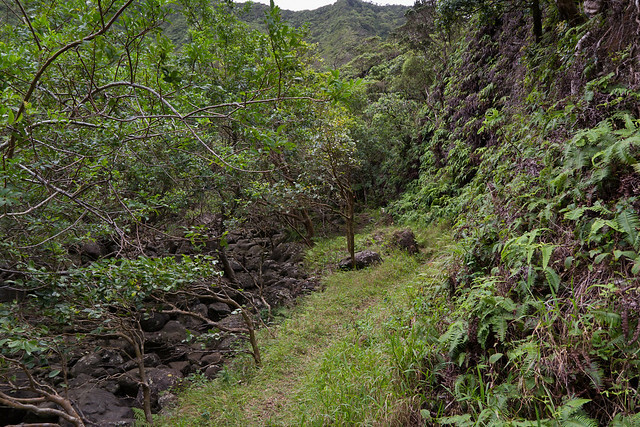 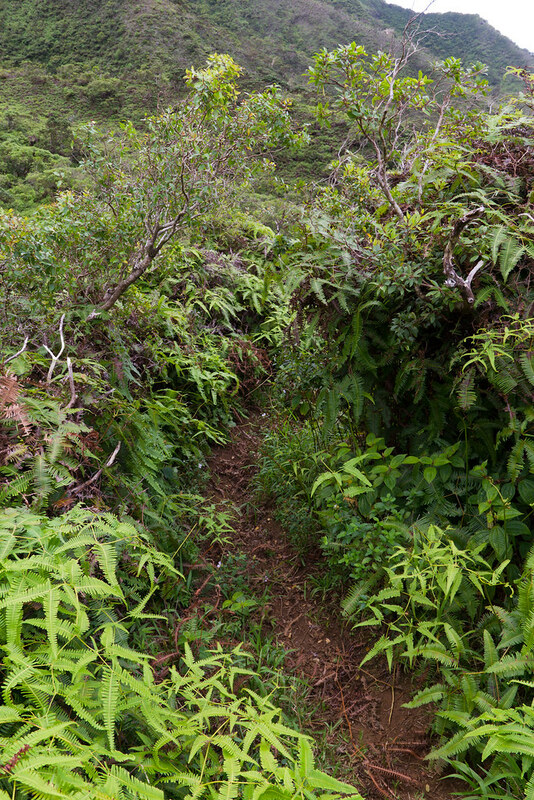 The trail leads to a short, semi-steep section that scrambles up a side ridge to a saddle on the Ko`olau Ridge. 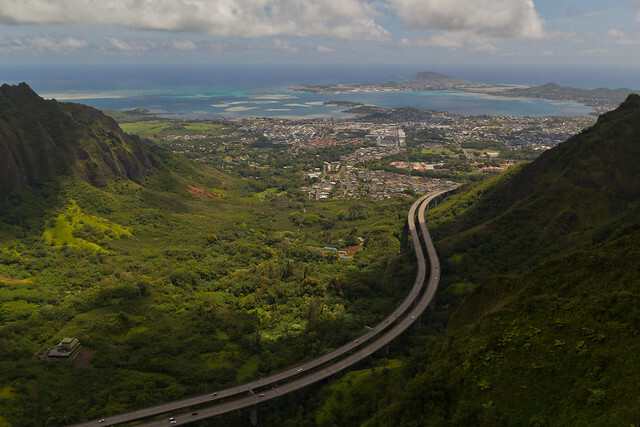 The climb is quickly rewarded with great views of Moanalua Valley. 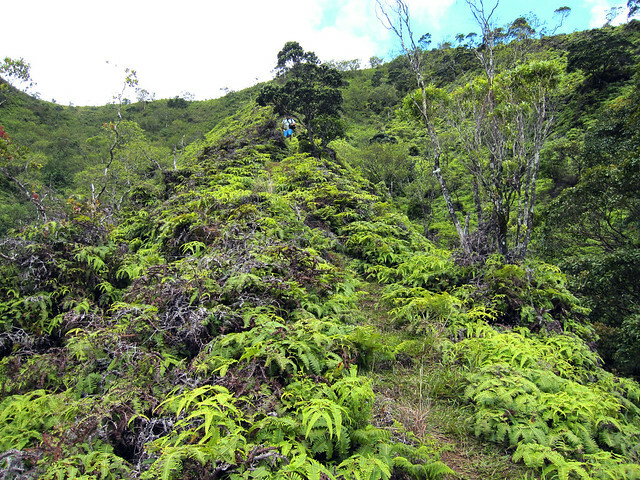 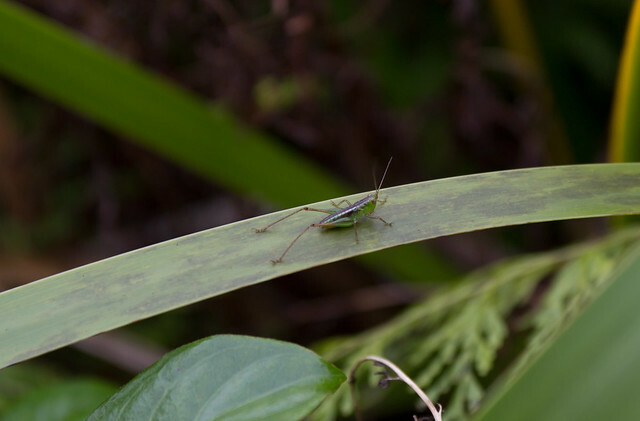 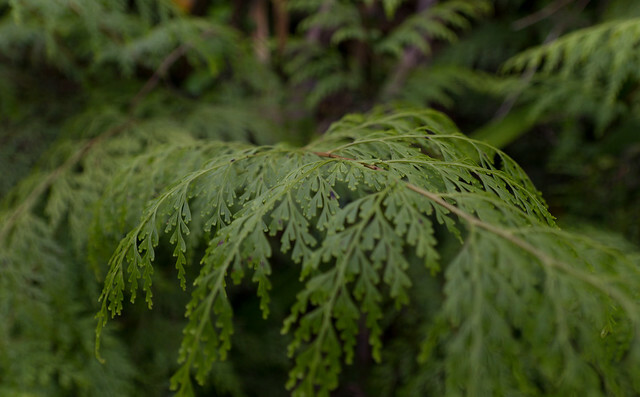 Before you know it, you're at the top, straddling the Ko`olau ridge between Moanalua and Haiku Valley. 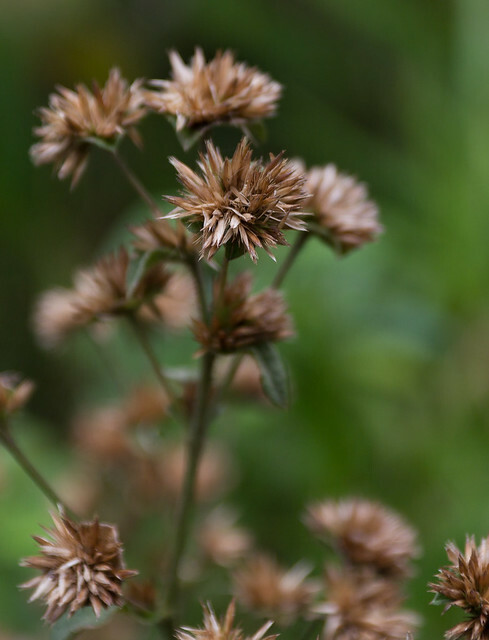 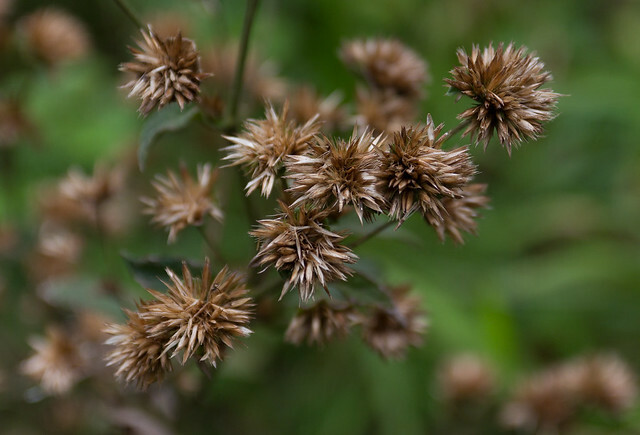 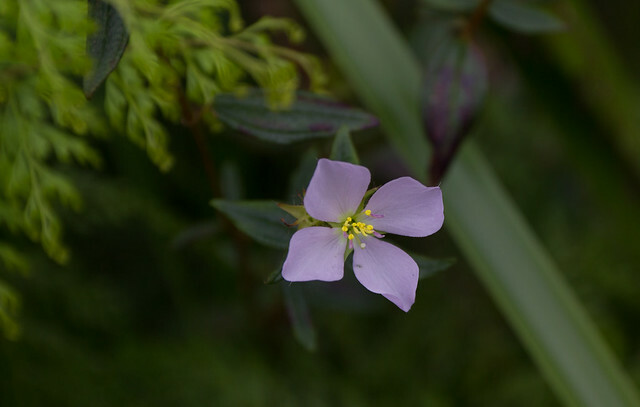 And for Sommer, some pictures of plants and flowers on the way up. 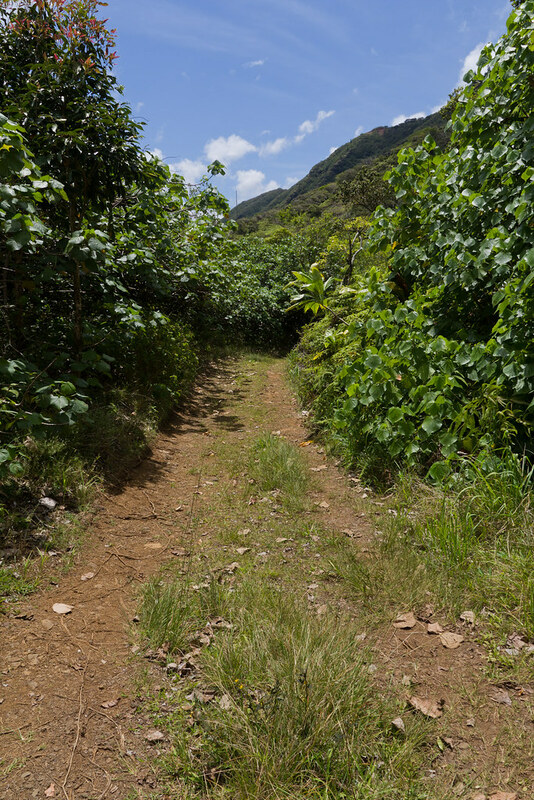 You can see the pictures on a google maps overlay here.